Locked tree linkages have been known to exist in the plane since 1998, but it is still open whether they have a polynomial-time characterization. 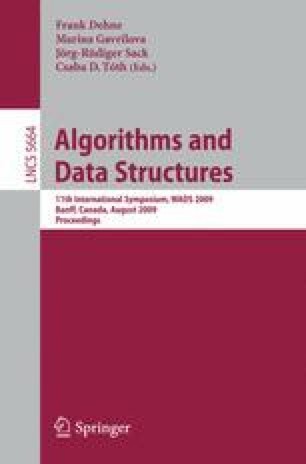 This paper examines the properties needed for planar trees to lock, with a focus on finding the smallest locked trees according to different measures of complexity, and suggests some new avenues of research for the problem of algorithmic characterization. First we present a locked linear tree with only eight edges. In contrast, the smallest previous locked tree has 15 edges. We further show minimality by proving that every locked linear tree has at least eight edges. We also show that a six-edge tree can interlock with a four-edge chain, which is the first locking result for individually unlocked trees. Next we present several new examples of locked trees with varying minimality results. Finally, we provide counterexamples to two conjectures of ,  by showing the existence of two new types of locked tree: a locked orthogonal tree (all edges horizontal and vertical) and a locked equilateral tree (all edges unit length).